Congratulations to Joan Larson, ‘Library Friend of the Year’! Few people can claim as long or as deep an affiliation with Friends of the Library as Minnesota’s own Joan B. Larson. After three years in Browning, Larson did go on to get her library degree. Her subsequent career took her all across the country – to Maine, where she worked as an academic librarian and teacher at the University of Maine-Presque Isle, and to South Dakota, where served similar roles at South Dakota State University. In 1983, Larson accepted a position as director of the Northern Lights Library Network (NLLN), one of the largest cooperative library systems in Minnesota. It is fortunate for us that she did. Over the years, Larson contributed substantially to the important work of a number of our state’s library- and literacy-centered organizations, including the Minnesota Educational Media Organization (MEMO) and Minnesota Library Association (MLA). She has received awards from both for her varied contributions – and served a distinguished term as president of the latter. Since moving to Minnesota, Joan Larson has been an active member and trustee of the Douglas County Library Friends and Foundation. She has also proved herself to be one of the Minnesota Association of Library Friends’ (MALF’s) most steadfast leaders and vocal members. At various times over the last two decades, she has sat on our Board of Directors and chaired major committees. Recent achievements include co-planning many of MALF’s highly successful workshops and programs, and spearheading MALF’s partnership with United for Libraries on the Literary Landmark series. In 2013, MALF proudly dedicated its very first Literary Landmark, the Sinclair Lewis boyhood homestead in Sauk Centre, Minn. – a milestone that could not have been achieved without Larson. On Thursday, October 9, in recognition of her many and varied accomplishments, MALF awarded Joan Larson its second annual Library Friend of the Year Award. The short ceremony took place during the Minnesota Library Association conference in Mankato. Thanks once again, Joan, for all you’ve done – and continue to do! If you’ve been a Friend of the Library for any length of time, you’re probably familiar with the concept of a “one book” or “community reads” program. The one-book initiative has quickly taken root in cities, counties, and schools across the country, and it’s easy to understand why. The premise is simple – promote literacy and community connectedness through a large-scale book club – yet endlessly customizable. This fall, Minnesota is surging to the forefront of this growing movement, and we want YOU to be a part of it. The Council of Regional Public Library System Administrators (CRPLSA), using start-up funds from the Minnesota Arts & Cultural Heritage Fund, is rolling out the first ever statewide one-book program geared towards children.The program, dubbed “Once Upon a Reader,” is geared towards preschoolers in particular. 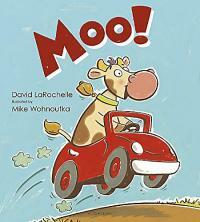 The book chosen for Once Upon a Reader’s inaugural year is Moo!, written by Minnesota author David LaRochelle and illustrated by Minnesota artist Mike Wohnoutka. In our continuing efforts to promote the work of Friends, MALF is pleased to offer members a match to offset Once Upon a Reader costs. That's right -- we'll reimburse half your costs! Purchase two Take-Home Play Kits at a total cost of $200, and MALF will reimburse you $100. Order a Vacation Scrapbook and a Milk and Cookie Storytime Kit at a total cost of $145, and MALF will reimburse you $72.50 - and so on. The combinations are endless! Matches will be capped at three (3) items and/or $300 per Friends group. Please remember that eligibility is contingent on current MALF membership. Participating in Once Upon a Reader through this special offer is simple. 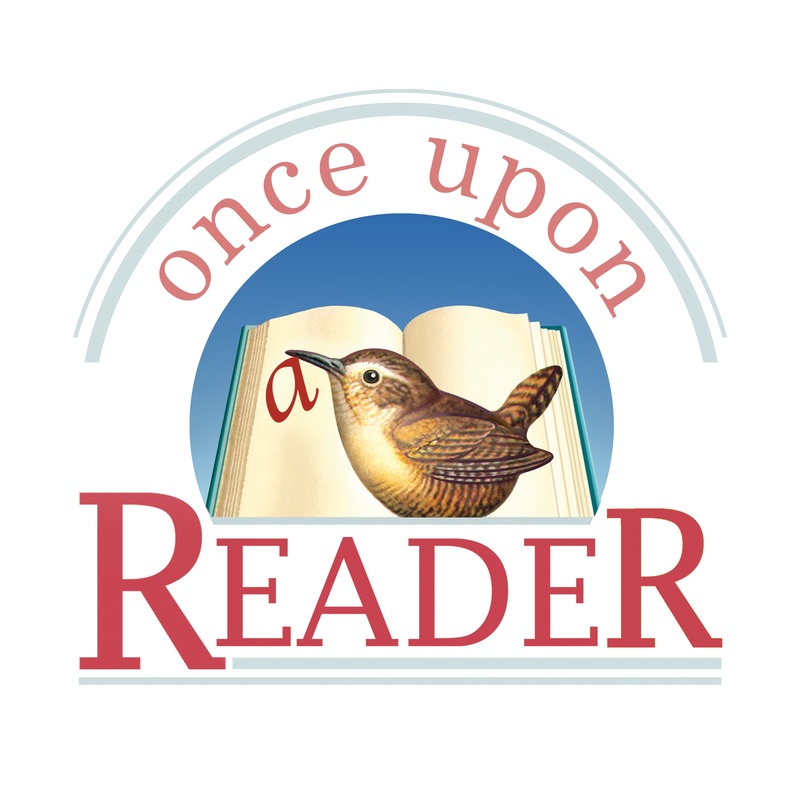 Place an order online through the program’s website, onceuponareader.org. Print a copy of your receipt or order confirmation form and mail it to us with this completed form. We will remit reimbursement within 30 business days. MALF’s total match fund is $3,000, so order today! Cow Scavenger Hunt / $20 – This passive program allows even the smallest library to take part in Once Upon a Reader. Simply hide the animals around the library and make the scavenger hunt lists available to families to complete while in the library. Cow's Vacation Scrapbook / $40 – This self-contained passive program allows families to borrow a plush cow. Families take Cow home in her special backpack that contains a scrapbook with places for drawing, writing stories, and adding photographs of the adventures that kids and Cow have together. This program encourages families to Talk, Play, Read, Write and even Singtogether as encouraged by ECRR2, and will include early literacy information for parents. Take Home Play Kit / $100 – This kit is for libraries to circulate to families and care providers. It will include a copy of Moo! and five toys, puppets or manipulatives that support the five practices and six skills outlined in ECRR and ECRR2, along with information for parents and caregivers on early literacy. Milk and Cookie Storytime Kit / $105 – These “Storytime in a box” kits include books, a manipulative, and storytime outlines that are suited to a variety of ages. Outlines will be customizable, and include best practices for storytime using ALA’s Every Child Ready to Read early literacy platform.